Address: 663302 Norylsk, Komsomolskaya st., 1. Zapovednik Putoransky on the territory of Taimyrsky and Evenkiysky Autonomous Okrugs, was founded in 1988. Its area is 1837,3 thousand ha. 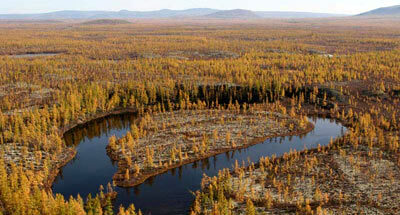 The Zapovednik is located in the central and south-western parts of the Putorana plateau. 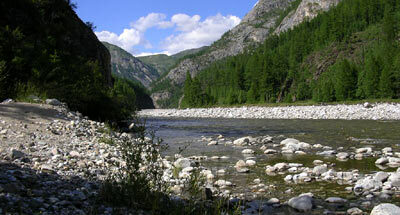 The river network is made up from the rivers of three drainage basins — of the Yenisei, the Pyasina and the Khatanga. Lakes (lake Ayan and others) are small and characterized by mineralized waters. The landscape of the continental lake fjords is interesting. 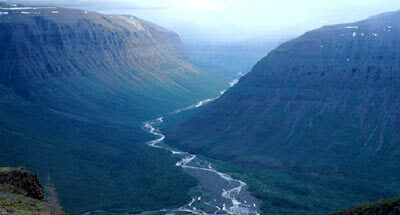 In the plant cover valley taiga, light forests and mountainous tundras are predominant. In the basin of rivers Kutaramakan and Irkinda runs the north-eastern border of the Siberian larch and Siberian spruce. Forests cover 228,7 thousand ha. More than 1300 species of flora are noted. Elk, wolf, skunk bear, and brown beer are common. In the Putorana mountains is the northern border of the squirrel’s, flying squirrel's, lynx’s, sable's, and chukar's range. Across the Zapovednik's territory runs the migration route of the greatest population of wild reindeer in the world. Of rare and disappearing animal species there live Putoran's bighorn sheep, Arctic falcon, and erne (white-tailed eagle).